Think about what’s most critical to your happiness and satisfaction at work. Is it the pay and benefits? The hours? The people? Are those things enough to make a job fulfilling? Chances are there are other factors that are just as important, or more so—things like feeling empowered to make an impact, having the right tools and support to be successful, and not feeling constantly pressured or under the gun. Customer service agents feel that way too. In the age of AI, the needs of the human workforce can often get lost. But if companies want to deliver exceptional customer experiences, it’s critical that they make sure their agents’ experience is positive, too. That starts with making sure agents have the right tools and technology to do what they’ve been hired to do: Keep customers happy. Unfortunately, too many brands are not setting their agents up for success. As customer expectations continue to increase, agents are finding it harder and harder to keep up with ever-expanding engagement channels, the limits of legacy systems, and the complexity of incoming queries. AI can help meet these challenges, but agents are still on the hook for complex and mission–critical customer issues. Neglect their needs, and you get burnout, frustration, and ultimately, sub-par customer experiences. Hand-in-Hand Agent Collaboration. With Bold30 Discussions, agents who are chatting with a customer can quickly start a conversation with another agent or supervisor to ask for assistance or clarification. These behind the scenes conversations can help the agent resolve the query immediately or enable a warm hand-off to another agent or supervisor. Discussions can help companies increase overall customer satisfaction by minimizing handle times and increasing first-call resolution. Support Swarming. An agent or supervisor using Bold360’s Join Chat capability is able to start a three-way collaborative conversation with the customer – allowing both support people to work together to resolve issues faster. On the Job Coaching Assistance. With the combination of Bold360 Discussions and Join Chat, companies can bring agents up to speed faster with in-product support from other agents, subject matter experts, and supervisors. This helps agents onboard more quickly, aids with continuous learning as jobs change, and ultimately lowers employee churn. Hands-On Bot Management. Bold360’s Bot to Agent Chat Reassignment allows supervisors to intervene and quickly reassign chats from bots to human agents in the event human assistance would be beneficial. AI may be here to stay, but so are human agents. When you empower your workforce with the resources they need to succeed, you can not only count on happier employees that are more likely to stick around, you can also count on happier, more loyal customers. Check out what’s new with Bold360 here and read our whitepaper “How to Maximize Agent Productivity to Drive Results“. 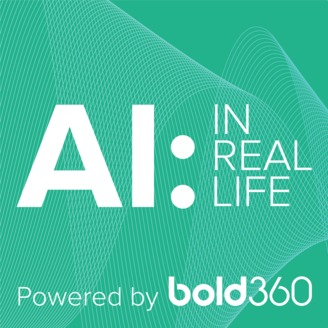 AI IRL Podcast Episode 13: The Three People You Need to Have on Your Chatbot Development Team	AI IRL Podcast Episode 14: Is Predictive Analytics In Your Future?